Today was the Winter Solstice and the shortest day of the year. So whilst the days will now start getting longer, they will also start getting colder, which is enough to drive any man, or woman, to drink or to dig out the stash of happy pills. 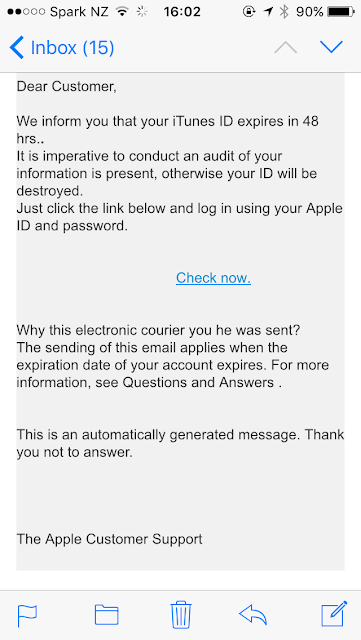 One thing that did brighten up my day however was this very bad spam supposedly received from Apple. Oh no, my iTunes account is going to be closed down. Oh no I face hell and damnation. 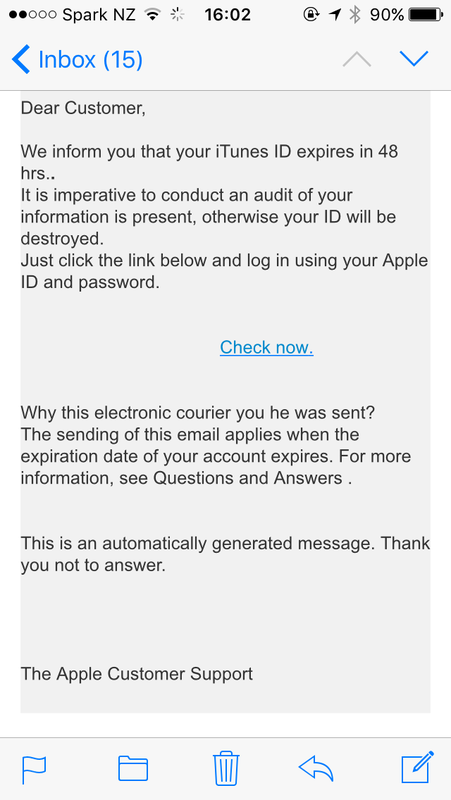 Take a minute to read the very bad English wording throughout the entire body of the email. Please Spammers, if you are going to spam me, can I ask that you at least use the correct grammar?